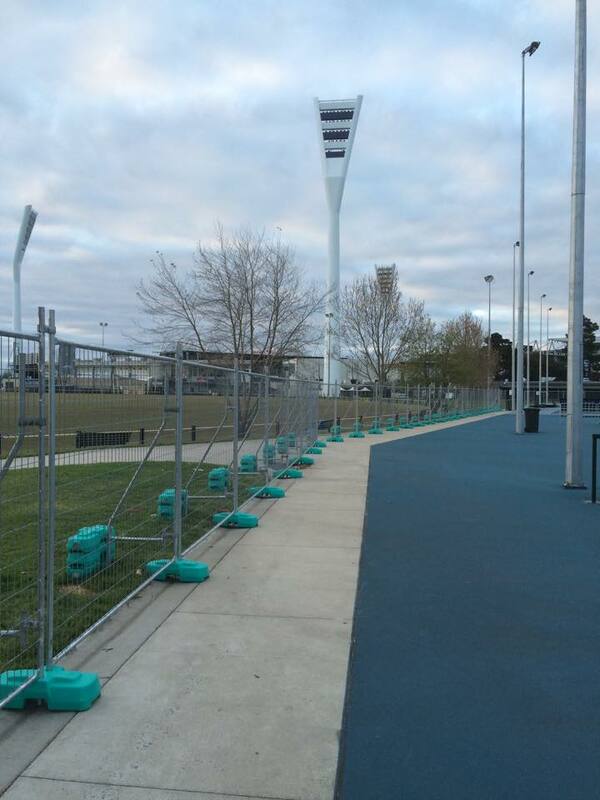 Geelong and Coastal Hire’s temporary fencing is fully compliant to AS 4687:2007, Using high visibility plastic coated concrete blocks along with anti climb mesh panels. 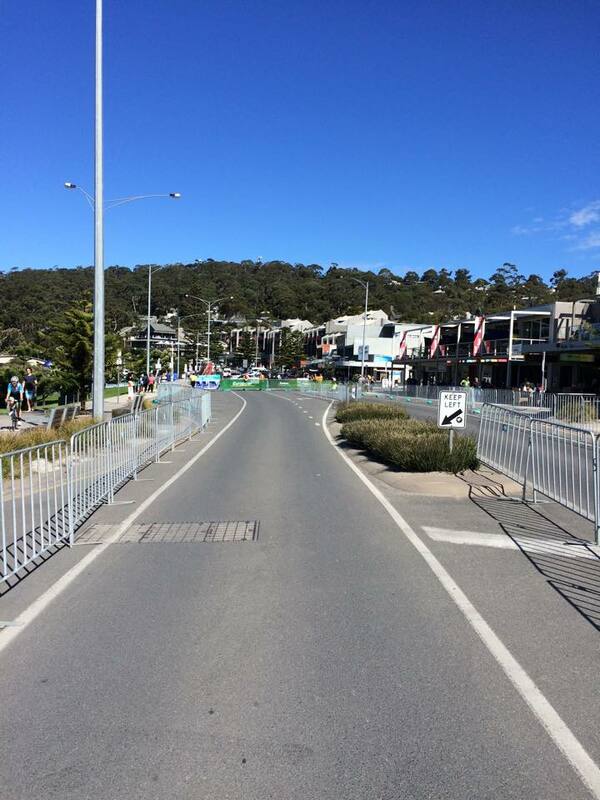 Panels come in the size 2400mm wide x 2100mm high Geelong & Coastal Hire has a large stock holding. 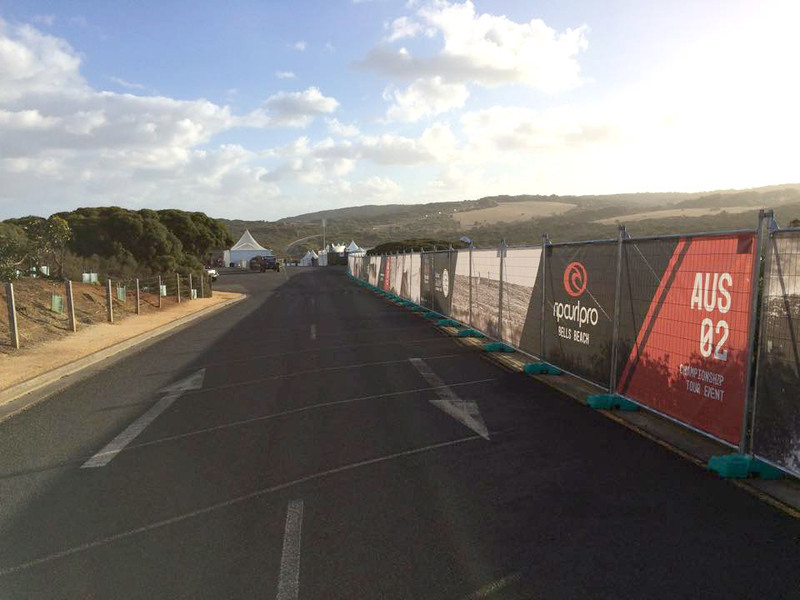 With thousands of meters of fence on hand at any one time, you can be assured we can get your job done when you want it. 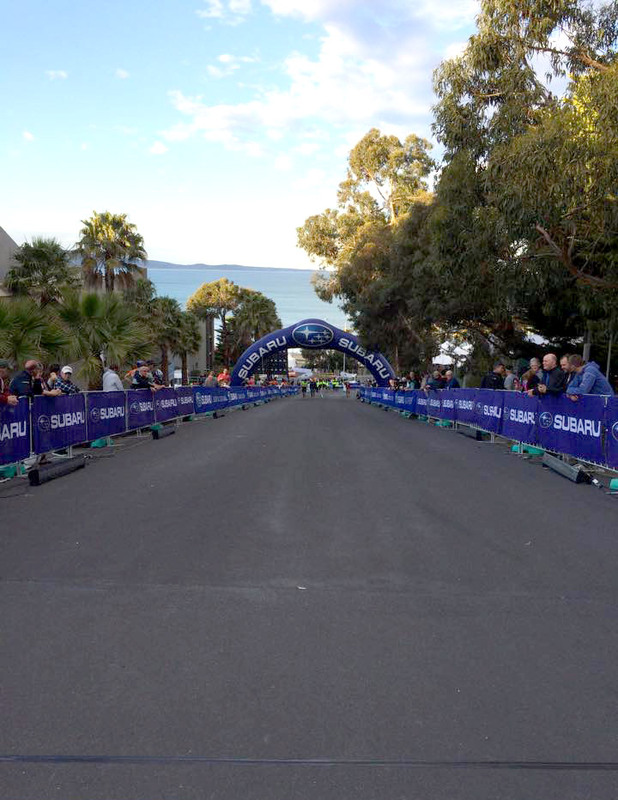 Further to this Geelong and Coastal Hire is fully insured and guarantees next day delivery. 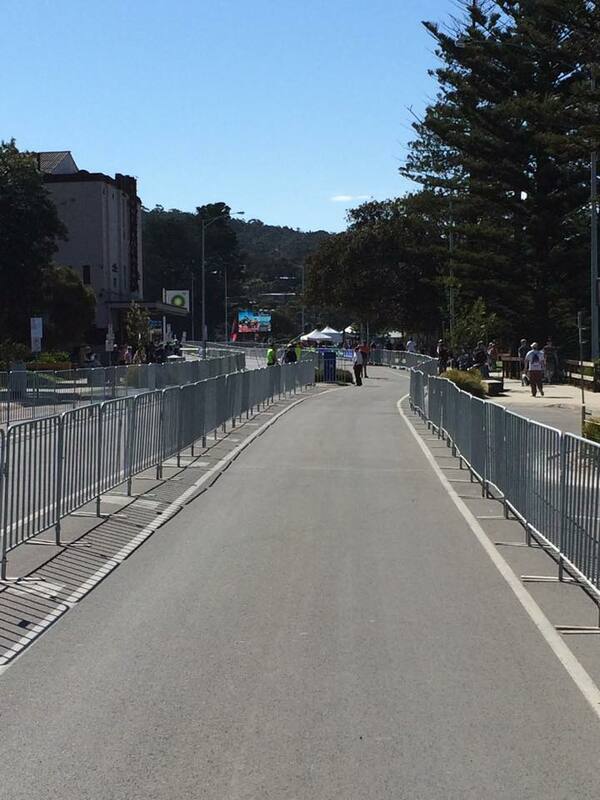 Geelong and Coastal Hire provides cost effective temporary crowd barriers available for events. Panels come in sizes of 2200mm x 950mm with flat feet. With large quantities on hand we can provide a solution for your next event. 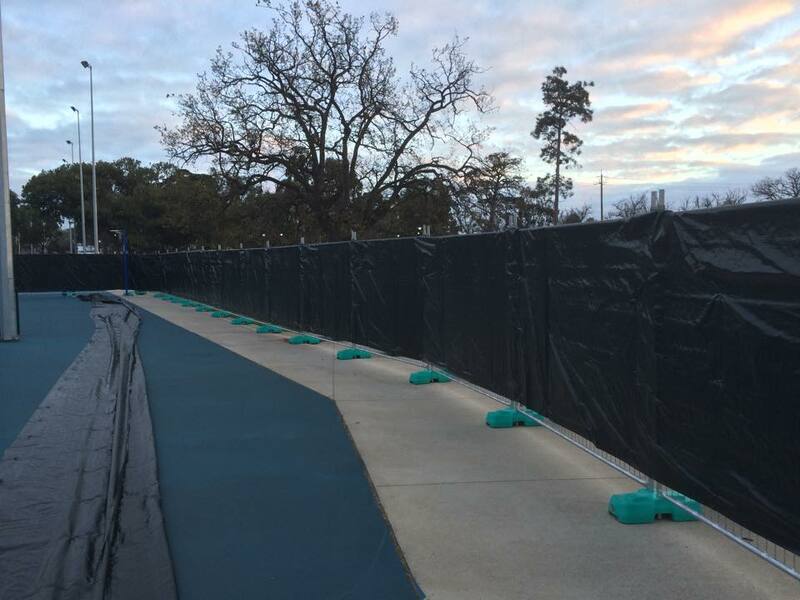 Servicing Geelong Temporary fencing, Bellarine peninsula Temporary fencing, Surfcoast Temporary fencing, Colac Temporary fencing, Ballarat Temporary fencing, Bacchus Marsh Temporary fencing, Werribee Temporary fencing and Melbourne Temporary fencing.